Does Teeth Whitening Damage the Enamel? An In-Depth Analysis of What Occurs When You Whiten Your Teeth. Among the most frequently asked questions is "does teeth whitening damage the enamel?" The conclusive answer is no, teeth whitening gel will NOT damage or harm your tooth enamel. Enamel is considered the hardest tissue in the human body. Enamel consists of tiny tubules that can only be viewed under high magnification. 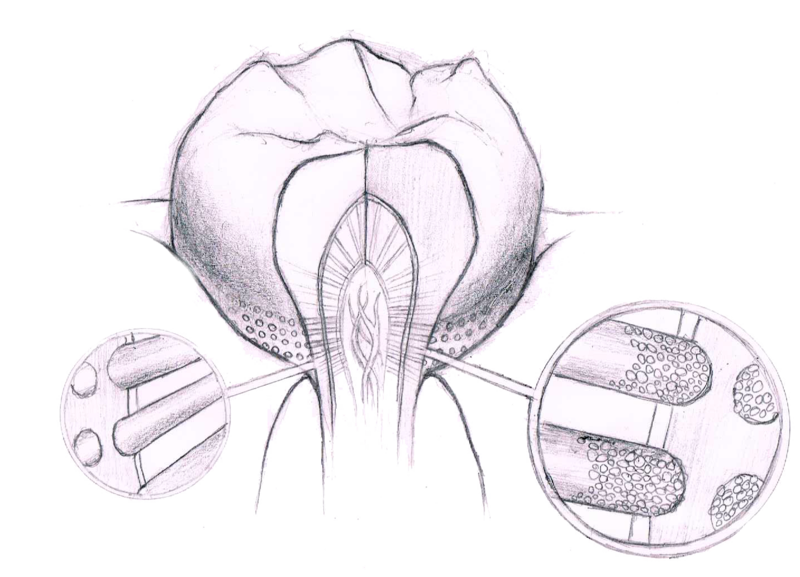 Even though Enamel is the outermost layer of the tooth, it is the layer of tissue beneath the enamel that absorbs the majority of the stain, called dentin. In order to achieve successful whitening, the product flows through the enamel tubules and begins to lighten the underlying stained tissue. Whitening products can cause temporary tooth sensitivity. As the whitening gel undergoes its natural process from active to inactive, the tubules are left open and eposed, known as dehydration. The tubules are quickly remineralized by organic material found in saliva. During this time it is important to avoid consuming any food or drink containing color. Until the tooth is completely rehydrated it will absorb any color of food or liquid it is exposed to. At this time it is also suggested to stay away from extremely hot and cold along with sweet and salty substances, to avoid possible irritation of the nerve tissue. Dehydration of the tooth can happen any time saliva flow is disrupted. Saliva flow can be disrupted by many things including; mouth breathing, smoking, certain medications, radiation treatments, autoimmune diseases and other underlying medical conditions. Although it takes a very short time to dehydrate, re-hydration of the teeth can take hours. Tooth dehydration can be identified by white spots on the surface of the tooth. As the tooth becomes re-hydrated the white spots will disappear. If you experience sensitivity while whitening, discontinue until sensitivity is no longer an issue.